Have you noticed how much of the new motorcycle activity is taking place in the downstream segment of the displacement range? BMW is joining the action in the 300 cc class with a new G 310 R roadster that promises to be the first in a new line of smaller BMWs. Thirty-four horsepower sounds so much better when it's accompanied by just 350 pounds. BMW photo. BMW provided some video, so we could see (and hear) the G 310 R in action, and the crack TeamZilla video crew edited some of the highlights into the video below. 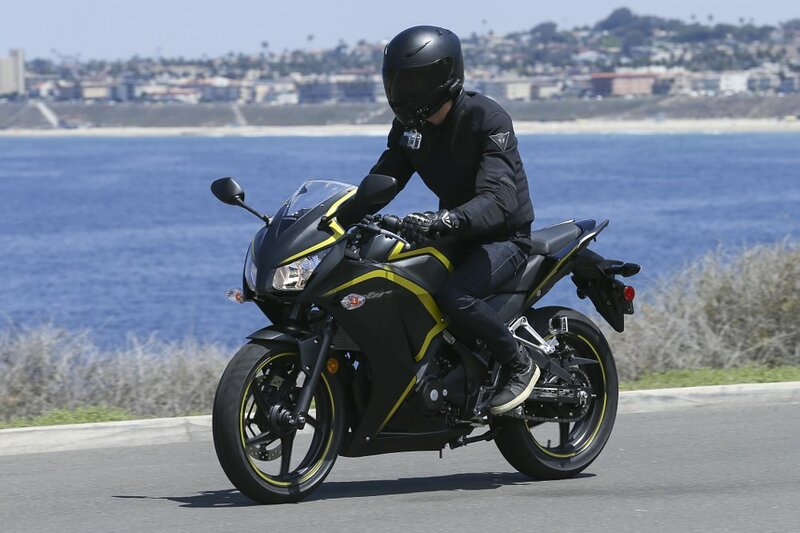 The G 310 R is powered by a 313 cc liquid-cooled, four-valve, oversquare single with bore and stroke of 80 mm by 62.1 mm, which BMW says will produce 34 horsepower at 9,500 rpm. The bike is said to weigh just under 350 pounds. It may be the littlest BMW in more than half a century, but it's still clearly intended to be a premium product. It comes with ABS standard and an inverted fork. The styling intentionally carries a family resemblance to the bigger and more expensive BMW models. Like European competitors, such as Triumph, Ducati and KTM, BMW is having the G 310 R built in lower wage environs. In this case, India, where the G 310 R's most obvious competitor, the KTM 390 Duke, is also built. But because BMW is BMW, some things about the G 310 R are different, too. Most notably, they installed the engine backwards. The intake is at the front of the single cylinder and the exhaust is at the back, and the cylinder is tilted backwards. Neither of these things is new. The engine in the Yamaha YZ450F motocross bike was turned 180 degrees and tilted years ago. But it's interesting that BMW engineers took the trouble to bring these minor tweaks to regular street riding, not just sports that involve flying through the air and trying to nail a triple jump without ending up in the back of an ambulance. BMW showed both blue and white versions of the G 310 R. BMW photo. The BMW is inevitably going to go up against the KTM 390 Duke. They are similar in many specs, even using the same tire sizes of 110/70-17 front and 150/60-17 rear. The KTM is a few pounds lighter and makes more power, with about 40 horsepower, than the BMW. Competition for the KTM 390 Duke. BMW photo. Will we see the BMW G 310 R in the United States? Maybe, but clearly it's not made primarily for us. 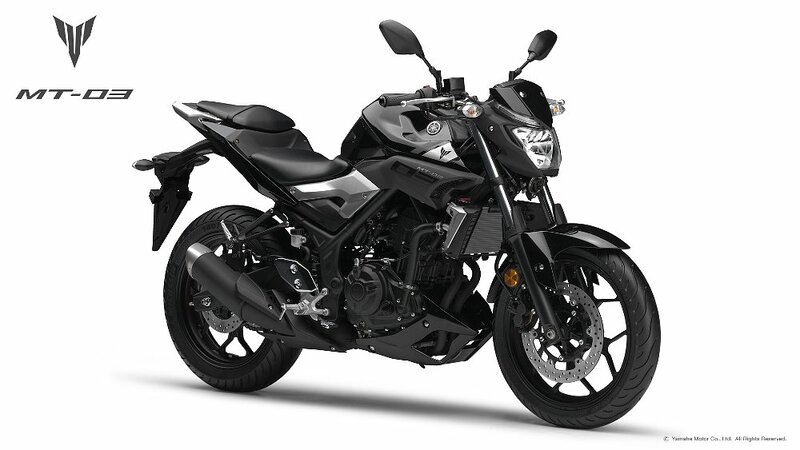 While the G 310 R and the Duke are made in India, they are way more expensive than the average motorcycle sold there, or in other huge Asian motorcycle markets such as Indonesia. There, these bikes are an obvious step up for a growing number of middle-class buyers. They're still small and nimble, to make sense in the crowded urban riding environment, but come with higher quality components and features such as ABS. Just as we don't expect the RC390 and 390 Duke to be the end of KTM's new, smaller, line, the most interesting G-series BMWs — especially for us in the states — are yet to come. A 313 cc adventure-touring-lite bike built with quality components? I expect that would have some riders making time to look up their nearest BMW dealer.